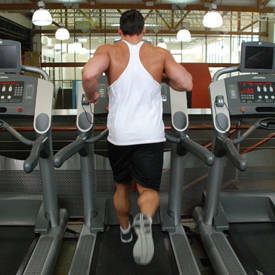 Take your cardio training to the next level with these athlete-recommended routines. Some people are satisfied simply slogging through their cardio, counting the calories burned, and hopping off the machine. Others want more. They want conditioning that makes their engines bigger and their entire bodies more capable. 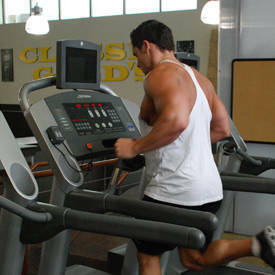 But if you're looking to take your cardio to the next level, you need to find workouts that push you to your limit. These four routines definitely will. 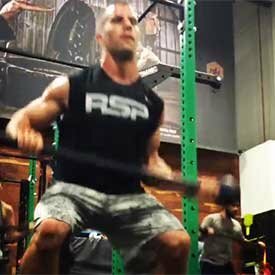 They're from RSP's super-fit athletes, all of whom are always on the search for new ways to put more into all aspects of their training—and get more out of it. Here are their top workout choices. When he needs to look defined in a hurry, athlete and fitness model CJ Koegel turns to circuit training. "Circuit training is the perfect choice for time-crunched workouts because it allows you to get maximum fat-loss results in a minimum amount of time," he explains. "It can also be designed to combine cardio and weight training, allowing you to work on all aspects of fitness." Still not convinced? 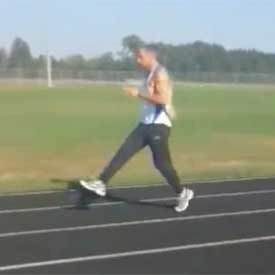 Give Koegel's workout a try. You'll need a couple of dumbbells, a single kettlebell, a box, and definitely a towel. Repeat the following circuit as many times as possible in a 15-minute period. Keep rest to a minimum. When athlete and Army veteran Grant Weeditz needs to take his training up a notch, he doesn't limit himself to what he can find in a commercial gym. His favorite piece of equipment? The steel mace. This unconventional fitness tool is a hollow, straight bar with a solid steel sphere at the end of the handle. 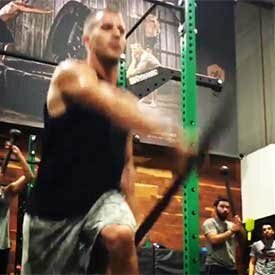 "My steel mace conditioning workout is one of my favorites because it helps build total-body strength and stability," he explains. 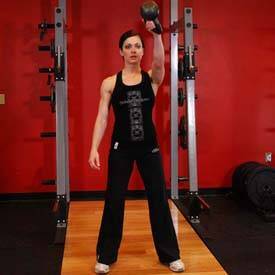 "The added benefit is the massive amount of core and scapular stability required to control even weights as light as 10 or 15 pounds." Weeditz regularly performs a 20-minute nonstop "flow" of squats, lunges, and overhead 360-degree rotations with the steel mace. "You have to experience this to really get how intense it is," he says. That would be enough for most people, but Weeditz follows it up with a deadlift and box-jump protocol he's designed for maximum results. Getting some expert instruction is a no-brainer if you want to try it. To perform this workout, choose a barbell weight you can deadlift comfortably 8-10 times and a box-jump height you can hit for 10 reps. Note: Set the timer to 90-second intervals. 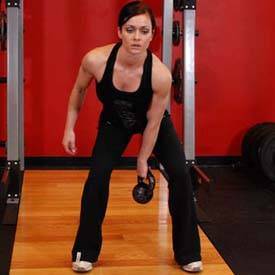 At the start of each interval, perform 5 reps of deadlifts without bouncing them off the ground. 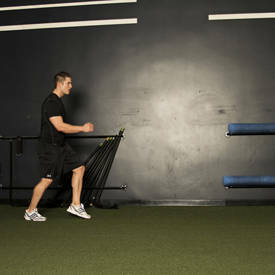 Then perform 3 box jumps, standing up completely after every rep, and stepping rather than jumping down. Once finished, rest until the 90 seconds are up. Repeat this 8 more times. Anytime BCAA Powder designed to Increase Strength, Hydration, Pump and Recovery!Go Now! Hannah Eden, co-owner and founder of PumpFit Club in Fort Lauderdale, Florida, loves interval training so much that she offers her clients a different HIIT workout every single day of the week. "My go-to is called 'Monster Monday,' which is arguably the most challenging workout of my week," she says. Eden explains that while HIIT is largely known as for short bursts of cardio exercise with brief recovery periods, that's far from the only way to use it. "My goal is to burn fat and calories while also building muscle mass, strength, and endurance," she explains. "This is where resistance training comes in." Eden forms her workout by adding timed sessions of multijoint strength movements to her already grueling cardio component. "In my experience, high-intensity cardio plus short recovery times and heavy resistance training equals more effective and intense workouts," she says. "Don't count the reps; just set the timer and go to town!" 30 sec., rest 10 sec. 60 sec., rest 20 sec. 90 sec., rest 30 sec. Trainer and fitness personality Lita Lewis doesn't have time for half-assed cardio. She changes things up often, but always keeps the intensity level high. "To keep myself motivated, I switch up my cardio efforts every 2-3 weeks," she says. "This helps me avoid boredom and the dreaded plateau." 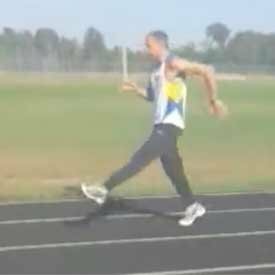 A standard element in her approach is sprinting, which can be combined effectively with any number of dynamic movements. After all, you have to get back to the starting line somehow, right? 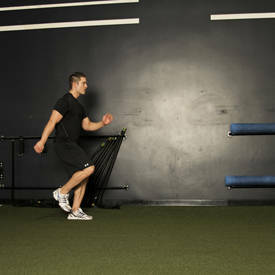 Perform each of the following exercises nonstop, doing a light jog back to the start after each drill. Repeat for 3-4 rounds. Stack Your Results! An Advanced Stack to Support Lean Muscle Growth!Go Now!